Parties, potlucks or family dinners, the occasion does not matter when it comes making easy chicken casseroles. 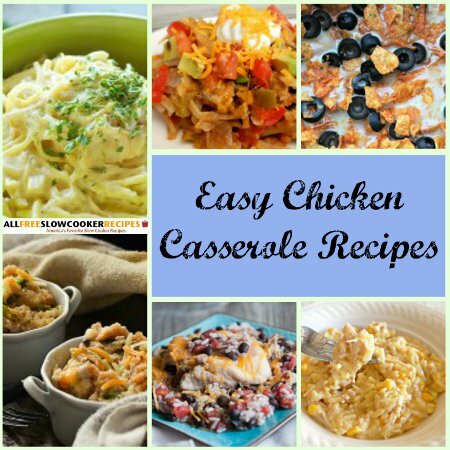 Check out our collection of 16 Easy Chicken Casserole Recipes: Mexican Chicken Casseroles, Chicken Rice Casseroles, Chicken Pasta Casseroles and More to get some ideas. These easy casserole recipes are sure to be the star of the show no matter the time or place. Whether you are in the mood to make an adventurous Mexican chicken casserole, or are seeking out the comfort of a chicken rice casserole, this collection of recipes has got you covered. These e asy casserole recipes all feature chicken in them, which makes the casseroles more filling and gives them more depth. Try serving these easy chicken casseroles as main dishes at a gathering, accompanied by veggies and smaller sides. These dishes are great because they are hearty, but they are also great because of their versatility. These easy chicken casseroles can be enjoyed at any time throughout the year and on any night of the week because the chicken in them is a versatile protein that is loved all year round. Take a look through the easy casserole recipes below and plan a meal or two. Love these easy casserole recipes? Then check out your free eCookbook copy of "17 Slow Cooker Casserole Recipe Classics" for even more of our casserole favorites. These Mexican chicken casseroles combine the beloved flavors of Mexican cooking and the ease of slow cooker recipes. Try using these recipes to put a twist on your typical Mexican dinners. 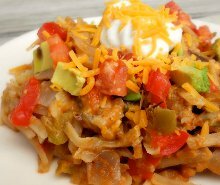 From enchiladas, to hash browns and Doritos, these Mexican chicken casseroles will allow you to step out of the box and create delicious and easy casserole recipes for dinner this week. As the name lets on, chicken and rice are the stars in these chicken rice casseroles. These easy casserole recipes are the perfect comfort meals to make on cold and rainy days, or after a long week. Combining cheese with the other ingredients in these chicken rice casseroles hits the flavor trifecta. 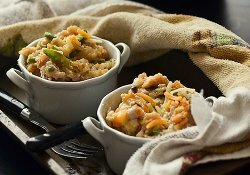 If you are in need of a delicious, easy meal that the whole family is sure to love, then these chicken rice casseroles are the perfect fit. For more easy slow cooker recipes, check out "One-Pot Cooking: 20 One Pot Recipes for Your Slow Cooker, Plus Bonus So Cheesy Lasagna". These Chicken Pasta Casseroles are easy, creamy and delicious. 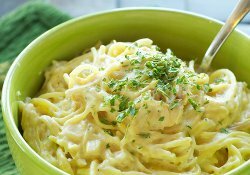 Alfredo sauce and creamy soups make up the sauce for the pasta and chicken in these dishes, giving the easy casserole recipes a comforting, home-style feel. Serve these chicken pasta casseroles as the main dishes at parties and gatherings. Your family and guests are sure to rave about these recipes for weeks after trying them. 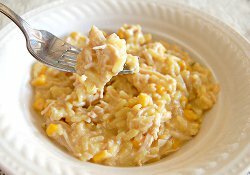 Easy chicken casserole recipes like the ones listed below are great casseroles to bring to parties and potlucks. 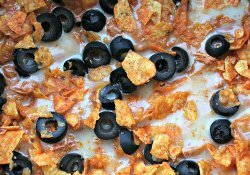 From Cheesy Chicken Tater Tot Casserole to King Ranch Chicken Casserole, these dishes are sure to be people-pleasers. The chicken included in these casseroles makes them a heartier option for more of a main course dish. No matter where you bring these chicken casserole recipes, they are sure to be the star of the show.